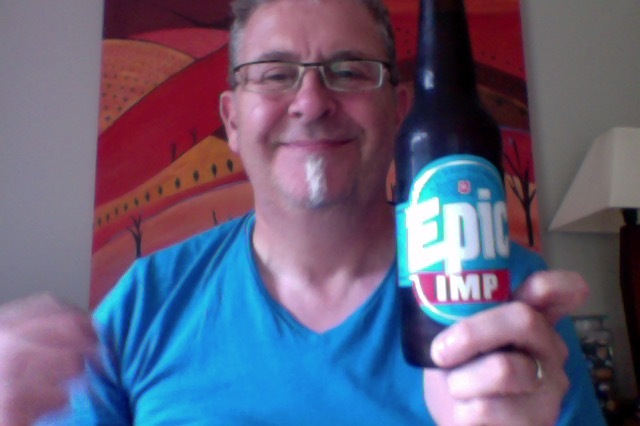 Epic IMP is a beer that appears to be raising eyebrows locally, I had to get in. 500ml bottle of beer that contains beer that is 4.57% ABV, making this 1.85 standard drinks in the bottle, so that’s about 141 calories a serve size. It’s listed as having 35 IBU things. 35 is like English Bitter or perhaps a Porter bitter. After years of craft beers getting higher and higher in alcohol content, the new trend is for lower alcohol beers, but still with the high levels of hopping. Small and mischievous, causing trouble, but in a playful way. Only found by the most interested and observant people.Contained within, summonzed by a master when needed. Possibly with the ability to grant wishes, but you must be prepared for the consequences. Which is a big lead in….also … When poured the aroma hits you with sweet ripe summer stone fruit and citrus as you look at its brilliantly polished pale copper colour. The flavour is of fruity citrus peel intertwined with a juicy caramel note, which finishes with a sharp but brief slap of bitterness. Something to lead into a muggy evening then, the clouds have been over, the warmth and humid are high, sort of thunderstorm weather, but it’ll blow over, and I’ll be out on the BBQ cooking. Wow that really is hoppy aroma on opening, no disappointment there, at all, taking am moment to enjoy that. That is seriously pretty as a picture pouring beer, golden bright orange with a lovely off white head that is firm and persistent. So far they’ve walked the walk after the big talking. Fill nose of all the things, mostly grapefruit for me but certainly citrus peel. And that really is a cracking beer. Lots of hops and bitterness up front, and a nice slightly to dry finish, only let down a bit by a dip in the middle. Still had another smell of the aroma and all is right in the world. As it sits for just a while the warmth in this comes through, but not to the detriment of any of the bitterness or the aroma, but it’s still not quite enough to lift this to giddy heights. Not a difficult beer to enjoy and enjoy it I am, however as is pointed out in other articles this could do with a bottle downsize to a 330ml can or bottle to make a 4/6 pack an option for a night out and fridge favourite. As craft beer goes the trend certainly was to higher ABV and hop overload which has been achieved, the next frontier is all that taste, bitterness, mouthfeel and aroma in a ‘domestic’ level ABV beer. Next after that would be of course the price point.. but sometimes you need to go the premium price for what is a premium product, and yes volume, etc etc.. I know all that. 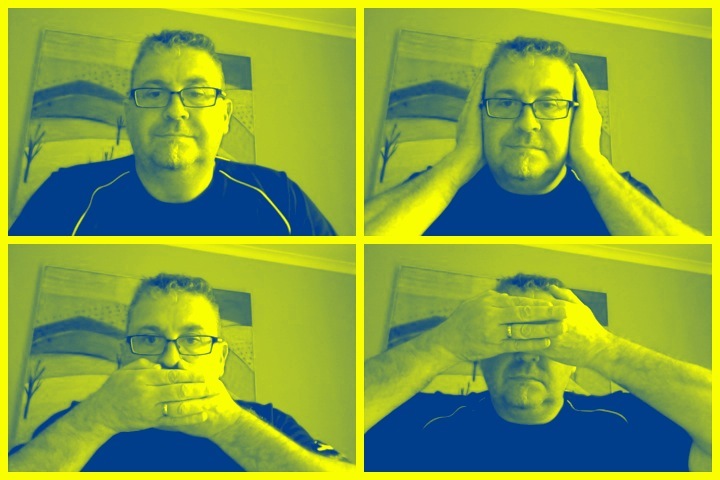 All that aside – just this, it’s a bit good. The pdubyah-o-meter rates this as 9 a of its things from the thing. I wanted more middle, a bit more body, I love the grassy/citrus bitterness and aromas, I like the finish, it’s the real deal. Am I enjoying it? Yes, immensely. Would I share with a friend on a porch and set the world to rights? You could happy go a lot of these and not reach boredom I think, it would stand up well to foods, musics, strenuous games of say, pool, or croquet on the lawn. Boards of Canada are a Scottish electronic music duo consisting of brothers Michael Sandison and Marcus Eoin. The music can be found on Spotify, iTunes and all good music places probably. The term Session IPA describes a category of beers marketed for their hop-dominant flavor profiles at “sessionable” levels of alcohol. While this is typically 3.2 – 4.6 percent alcohol, a few have stretched the definition. This class of beers arose in 2010 out of the Craft Beer Tradition as a reaction to the trend of increasingly strong beers and greater public appreciation for hoppier profiles around the globe. It is differentiated from American Pale Ale by typically being lower in alcohol and usually having more hop-dominant profiles. While hops used are typically American Pacific Northwest and New Zealand, proprietary/experimental and South African and other hops may also factor into a Session IPA hop bill. 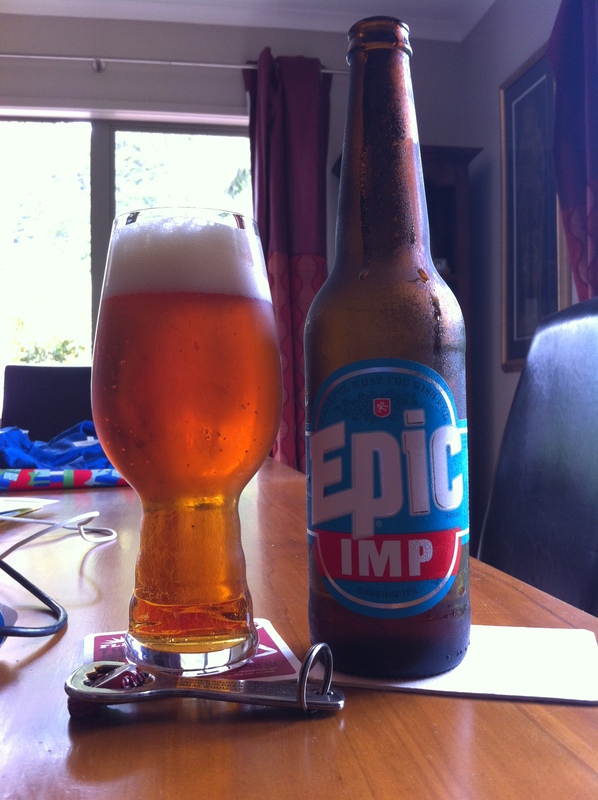 This entry was posted on January 6, 2015 by Philip Walter in Beer, Beer of New Zealand, Beer Review, Craft Beer, Critic, Epic, India Pale Ale (IPA), Justsaying, Session IPA and tagged Alcohol by volume, Beer, Bitter (beer), craft beer, Epic IMP, India Pale Ale, Pale Ale.